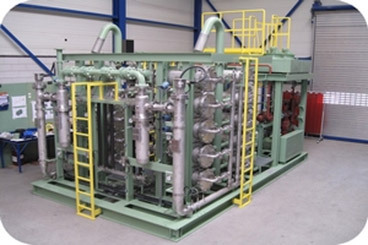 Airpack offers a complete range of membrane type nitrogen generators. Based on the principal of hollow-fiber membrane techniques our nitrogen generators are capable of producing up to 99,9% nitrogen purity on-site by using compressed air only. No need for expensive, bottled nitrogen deliveries anymore. With Airpack's membrane nitrogen generator packages you will have a reliable and easy source for your everyday safety gas requirement.